Unless you live under a rock, you’ve surely at least heard or read about apple cider vinegar and the benefits that it has on the body. Some claims may seem a bit incredulous, but the reality is there are a fair amount of benefits that apple cider vinegar does provide for anyone that adds it to their health regimen. Now is it going to completely change your life with a couple tablespoons a day? Probably not, but it’s certainly something that helps your body, and is not difficult to do. Just have a little bit diluted in water 2 or 3 times a day and you’re already working towards a healthier you. So let’s dive into apple cider vinegar (not literally as that would probably be incredibly uncomfortable) and see some of the benefits it provides. This is the most effectively proven benefit of apple cider vinegar. Consuming one or two tablespoons in a glass of water a couple times a day, before meals for example, is a great way to keep blood sugar levels stable. Additionally, apple cider vinegar helps with insulin sensitivity. Insulin, the hormone utilized for transporting sugar from the blood to the tissues for fuel, often becomes too high and can cause insulin resistance. This can lead to high blood sugar and diabetes. Consuming apple cider vinegar can improve insulin sensitivity significantly, especially in those that have type 2 diabetes or insulin resistance. Maintaining cholesterol is extremely important for overall heart health. Cholesterol builds up within arteries, which narrows them and causes them to harden. This causes the heart to work significantly harder and strains the body as a whole. Besides minimizing sugar and refined carbohydrates, apple cider vinegar is a great way to keep your cholesterol levels low and have your heart functioning properly and efficiently. 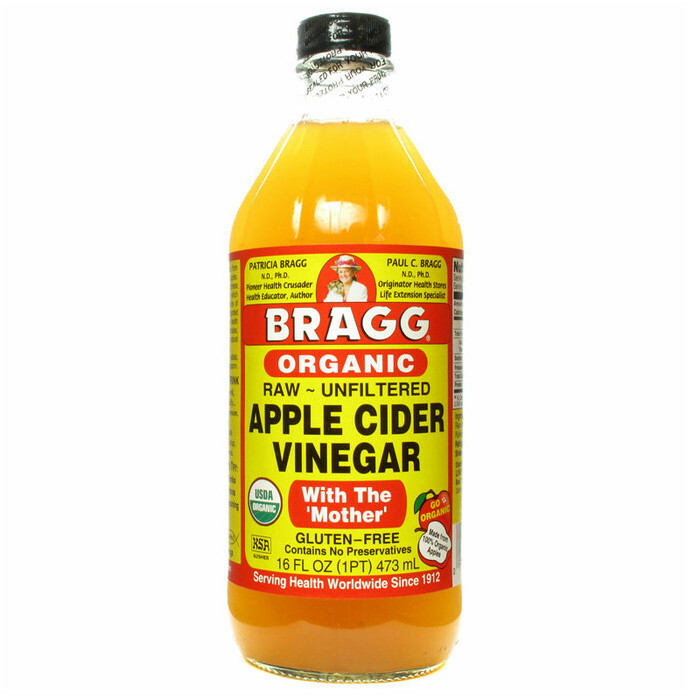 Again, add a few tablespoons of apple cider vinegar into your diet each day to keep that cholesterol down. Those couple tablespoons a day also have been proven to help with weight loss. Studies have shown that with no other dietary changes individuals can lose up to 4 pounds over the course of just 12 weeks. Apple cider vinegar does this by helping you feel full. This is called satiety, and it leads to eating less calories than you normally would intake without the help of apple cider vinegar. One of the biggest issues with weight gain is excessive snacking. People plan their meals and eat sparingly during breakfast, lunch, and dinner, but often don’t take into account snacking throughout the day. Apple Cider Vinegar interspersed in between meal times can help you cut down on those between meal cravings and limit overall calories, which is really what weight loss is all about; calories in versus calories out. Acid reflux affects a lot of people, and causes acid backflow from the stomach towards the esophagus. This leads to heartburn, nausea, and excessive burping and belching. Low levels of stomach acid contributes to acid reflux, so apple cider vinegar can help provide relief by adding additional acid into the digestive system to prevent backflow from the stomach. We’ve discussed it already, but be sure to dilute apple cider vinegar in water, and maybe add a bit of honey as well. Ripping shots of apple cider vinegar is not going to feel good (trust me I know from experience). Take your time with a nice diluted glass and enjoy knowing some benefits are coming your way. We mentioned heart health being improved through lowering the risk of high cholesterol. Apple cider vinegar also helps lower blood pressure. High blood pressure also makes your heart work harder, which weakens and deteriorates the heart over time. The acetic acid in apple cider vinegar lowers blood pressure and minimizes the risk that high blood pressure causes in terms of heart disease and coronary health. Everything we’ve discussed first in terms of apple cider benefits have been internal. Now we get to discuss what apple cider vinegar can do for your external organ, the largest organ of your body: the skin. Apple cider vinegar helps in treating acne and scarring through its acetic, lactic, succinic, and citric acid. All of these acids help to inhibit growth of bacteria that causes acne. They can also reduce scarring, helping to improve both texture and pigmentation to reduce and lighten scars. Bonus recommendation. You can substitute apple cider for water in a variety of different facial masks to apply additional benefits to the skin. The apple cider vinegar works as a toner alongside the face mask, leaving your skin looking even and balanced. There’s really no downside as far as giving apple cider vinegar a try. Take a couple tablespoons and dilute them in water a few times a day and discipline yourself to try it out for a month or two. If you don’t see much change then feel free to obviously stop. But, there’s a good chance that you’ll find your health will change, even if only a little, for the better during that time period, and convince you to continue on with apple cider vinegar indefinitely in the future. I find it easiest to take it with meals. I’m not much of a snacker so I don’t worry about having a diluted apple cider vinegar concoction during snack times to withstand any urges. You may have snacking issues though so going between meals may be the best for you. Try it out, there’s no wrong answer. The key is to simply try it. I love easy adjustments that have real benefits. Cold showers, small stretching sessions, and other simple changes like that are perfect because they don’t take a significant effort or change in lifestyle, but can still benefit your health. Apple cider vinegar is essentially the food equivalent of that. It takes no time to cook. All you have to do is pour a little in some water and stir it. Three times a day equates to about 2 minutes of total prep time. No excuses.